Time to get rid of the fakers. The frauds. The tricksters. The popular kids that aren’t really so popular. I’ve been so disappointed recently to realize that some of the instagram accounts I’d been following have most obviously contracted a bot service to increase their followers on Instagram. It’s easy to find them.. and likely you’ll be surprised how many there are. Here are a few ways. Tap on the <3 and then “Following”. You’ll see a list of your instagram followers’ likes and follows. Scroll through and note the accounts that have a distinct pattern of liking exactly eight accounts every 30 to 40 minutes at all times of the day and night. Check their account. They typically have a very high follower count and only follow a few hundred accounts. 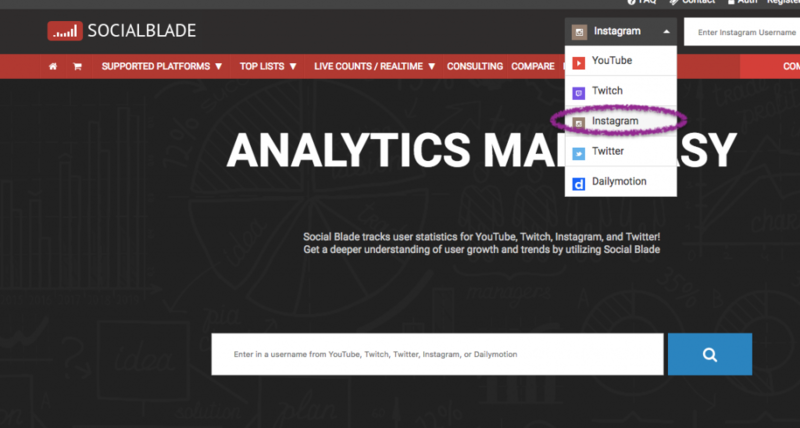 Another way is to log onto Socialblade.com and search for the suspicious using the search feature to target Instagram users. Once on the stats for that page you will see the number of pages that page has followed recently. If they are using a bot, you will see huge numbers in the pages followed column, followed by similar numbers of unfollows a few days later. In the graph section you will also notice a series of sudden sharp upward inflections as opposed to a steady rise which is typical of normal organic growth. Sometimes, it’s just obvious. They don’t post very often, and their accounts don’t have very interesting or dynamic content, yet, they have 314K followers.